Could Your Business Demonstrate GDPR compliance? – Or the ICO came knocking? The GDPR Tracker can enable you to demonstrate GDPR compliance in a matter of minutes. The GDPR tracker is an online tool that will guide you around the items that need to be considered under the new General Data Protection Regulations and will help you stay compliant too. Guidance on the required internal policies and procedures. Whenever a controller uses a processor it needs to have a written contract in place. The contract is important so that both parties understand their responsibilities and liabilities. An understand of who and where your data is stored. Understanding and documenting the need to keep personal data and how long for. Data subjects will have rights to access their personal data. For example the right to rectification and the right to erasure. A Subject Access Request (SAR) is a request for personal information that your organisation may hold about an individual. If an individual wishes to exercise their subject access right, the request must be made in writing. Ensuring data subjects get their personal data in a structured, commonly used and machine readable format. Data Profiling is “any form of automated processing of personal data consisting of the use of personal data to evaluate certain personal aspects relating to a natural person, in particular to analyse or predict aspects concerning that natural person’s performance at work, economic situation, health, personal preferences, interests, reliability, behaviour, location or movements”. To ensure you are holding the right about of data. A review of how your business manages electronic and manual records. A review to see who within your business is responsible for GDPR compliance and ongoing measures. Data protection impact assessments (DPIAs) help organisations to identify the most effective way to comply with their data protection obligations and meet individuals’ expectations of privacy. DPIAs can be an integral part of taking a privacy by design approach. The GDPR sets out the circumstances in which a DPIA must be carried out. A policy detailing your data security procedures. An understanding of how the wider organisation is setup and how personal data is managed in each state. We’ve got a selection of ready to fill in GDPR templates and policies to show how your small business is GDPR complaint. 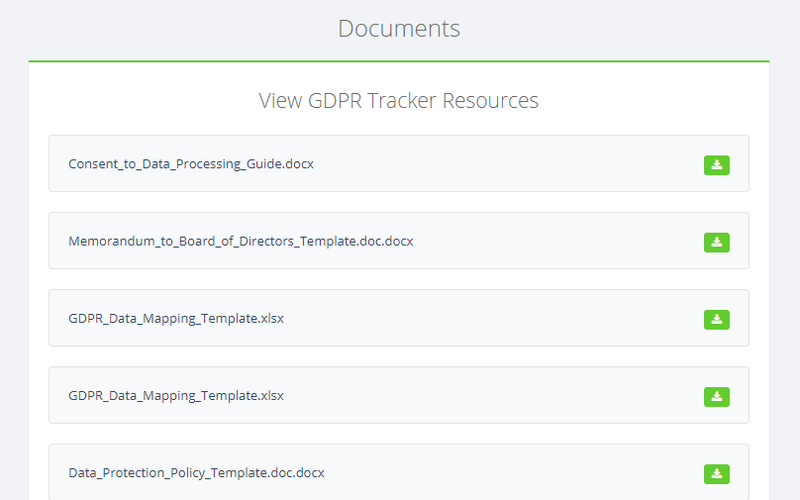 Once you’ve put all the correct measures in place and documented through the GDPR Tracker, you’ll be able to download a report detailing the steps taken if a request were made asking what steps were taken or if an issue were to arise. 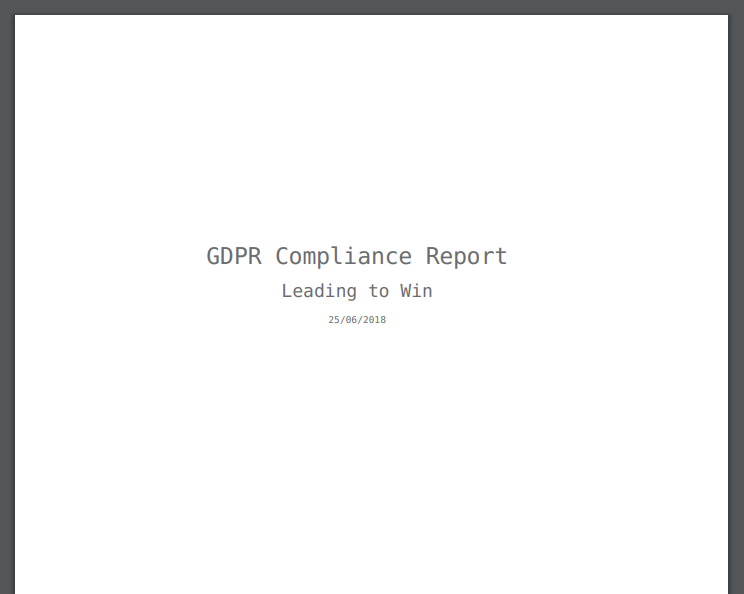 Keep this up to date and you’ll be able to provide a real time update on your GDPR compliance to anyone that requests it. Specific tasks to manage ongoing GDPR compliance. Create tasks with your own dates and reminders to manage ongoing GDPR compliance. Full audit trail available on tasks completed. 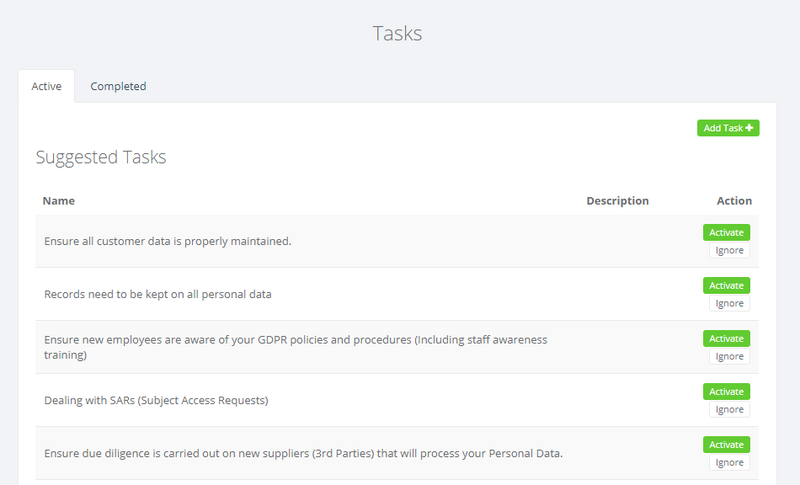 Suggested tasks are also available to help manage ongoing GDPR compliance including updates on the GDPR regulation. All GDPR Tracker users will have access to our GDPR Support Facebook Group (Closed) where you can get support from our GDPR consultants. Start your 14 Day Free Trial with the GDPR Tracker today. This is to help us improve our website and ensure we provide our customers with the right information.